“It’s Heaven on Broadway!” says Ben Brantley of The New York Times. 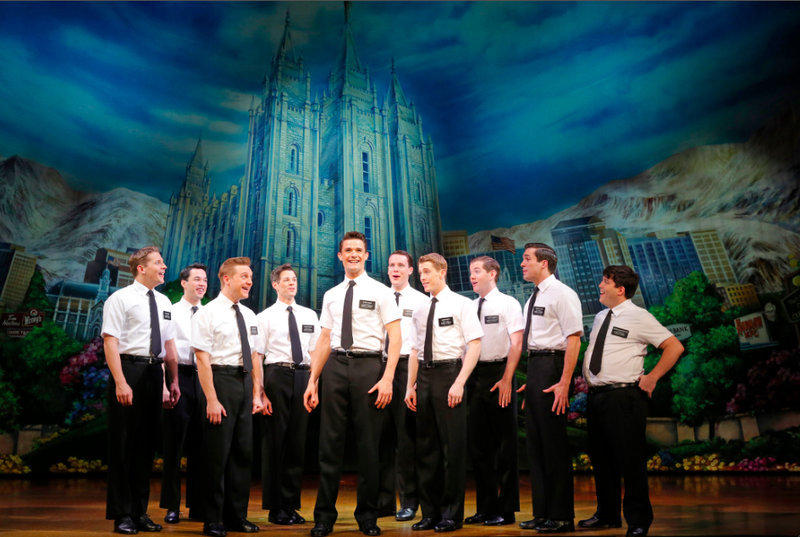 THE BOOK OF MORMON features book, music and lyrics by Trey Parker, Robert Lopez and Matt Stone and is coming to Austin’s Bass Concert Hall, thanks to Broadway in Austin. Parker and Stone are the four-time Emmy Award-winning creators of the landmark animated series, “South Park.” Tony Award-winner Lopez is co-creator of the long-running hit musical comedy, Avenue Q. The musical is choreographed by Tony Award-winner Casey Nicholaw (Monty Python’s Spamalot, The Drowsy Chaperone) and is directed by Nicholaw and Parker. Performances begin October 1 and run through October 13. Of course you know that THE BOOK OF MORMON is the winner of a whopping nine Tony Awards, including Best Musical, Best Score (Trey Parker, Robert Lopez, Matt Stone), Best Book (Trey Parker, Robert Lopez, Matt Stone), Best Direction (Casey Nicholaw, Trey Parker), Best Featured Actress (Nikki M. James), Best Scenic Design (Scott Pask), Best Lighting Design (Brian MacDevitt), Best Sound Design (Brian Ronan) and Best Orchestrations (Larry Hochman, Stephen Oremus); the New York Drama Critics Circle Award for Best Musical; five Drama Desk Awards including Best Musical, the 2011 Grammy Award for Best Musical Theater Album; four Outer Critics Circle Awards, including Best Musical, and the Drama League Award for Best Musical. The producers of the national tour of THE BOOK OF MORMON, winner of nine Tony Awards®, including Best Musical, and Lexus Broadway in Austin at Texas Performing Arts announced tickets are available by visiting http://www.BroadwayinAustin.com, by phone at (512) 477-6060 or Bass Concert Hall box office, 2350 Robert Dedman Drive. Group orders of 15 or more may be placed by calling (877) 275-3804 or email Austin.groups@broadwayacrossamerica.com. The Original Broadway Cast Recording for THE BOOK OF MORMON, winner of the 2011 Grammy Award for Best Musical Theater Album, is available on Ghostlight Records.